And now, another class action suit is being filed by consumers over false calorie information in the company’s menu labeling. Complainants say that the “Chorizo Burrito” menu item is listed to have a total of 300 calories on the menu but actually can have many times that number. 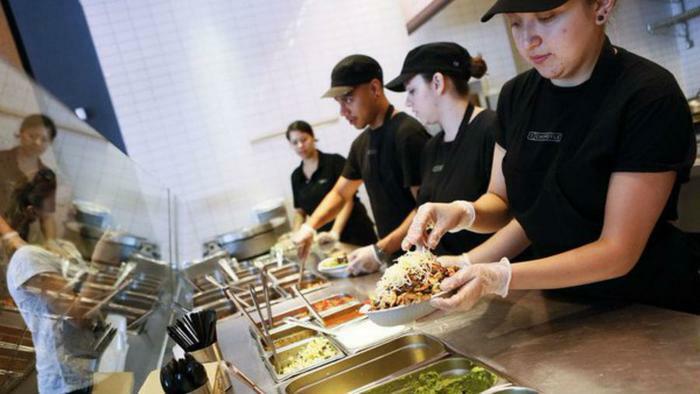 According to Fortune, the claimants are seeking damages and an injunction against Chipotle from labeling its food products with misleading nutritional information. If successful, the suit could apply to anyone who has purchased food from Chipotle in the four years before the complaint was made. The lawsuit may not come as much of a surprise. Customers have been suspicious about the 300-calorie claim for some time now, and many have gone to Twitter to ask the company about it. 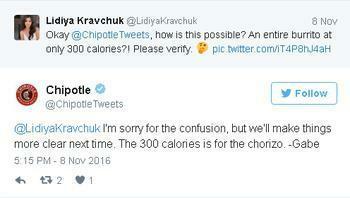 In one post, Chipotle answers a Twitter user by saying that the calorie information only applies to the chorizo and not the entire burrito. In fact, after using the nutrition calculator on Chipotle’s website, ConsumerAffairs found that a Chorizo burrito on a flour tortilla with black beans comes out to 600 calories. Adding other ingredients, like cheese, guacamole, and black beans, pushes the calorie count to 1,050. In response, Chipotle has attempted to reaffirm that it has always strived to be clear with its menu labeling practices. However, it stops short of giving the suit legitimacy. “I will note that we work very hard to maintain transparency as to what is in our food, including our practices for disclosing nutrition information. I’d also note that a lawsuit is purely allegation and is proof of absolutely nothing,” said Chris Arnold, Chipotle’s communications director.